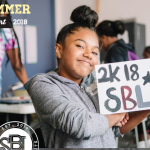 Each year before the holiday break, SBL has its annual End of the Year Celebration/Party to not only close off the school year, but to also celebrate the achievements of our youth. This is a time where we give thanks and recognize our volunteers and mentors that go the extra mile in our after-school program. We always kick off the celebration, with a slideshow recapping the year from September to the present to remind us of what we have done so far! The assembly also provided an outlet to showcase the accomplishments and skills that are gained during the after-school program such as having our youth dance facilitator/volunteer Daisphia Francis performing a dance routine with one of our mentees Sherisa Baker. 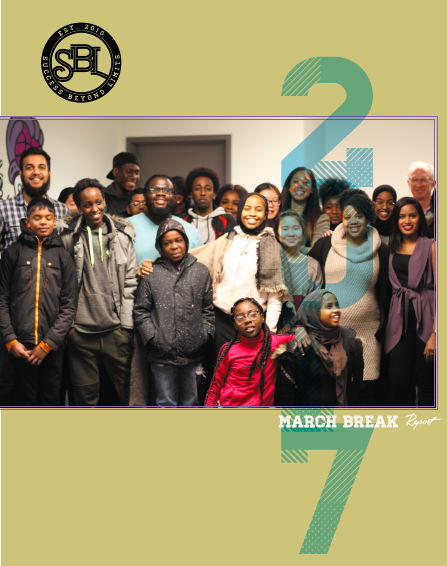 After our assembly, we come back to the SBL space for games, music, and food! 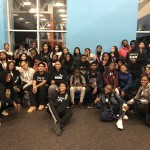 In the final year of high school, there is some youth that may have decided what route they would like to take after high school and then there is still a group of students that are undecided, unsure if they would like to go to college or university. Therefore, SBL has decided to take a group of students to both the University Fair and the College Fair to give youth the opportunity to learn more about the different universities and colleges that exist in Ontario, to speak to different representatives about programs that they might be interested in or just to have the opportunity to decide if university or college would be the best fit for them in September 2018. Our youth were definitely excited for this opportunity to visit these respective fairs and we will be taking another set of youth next year! 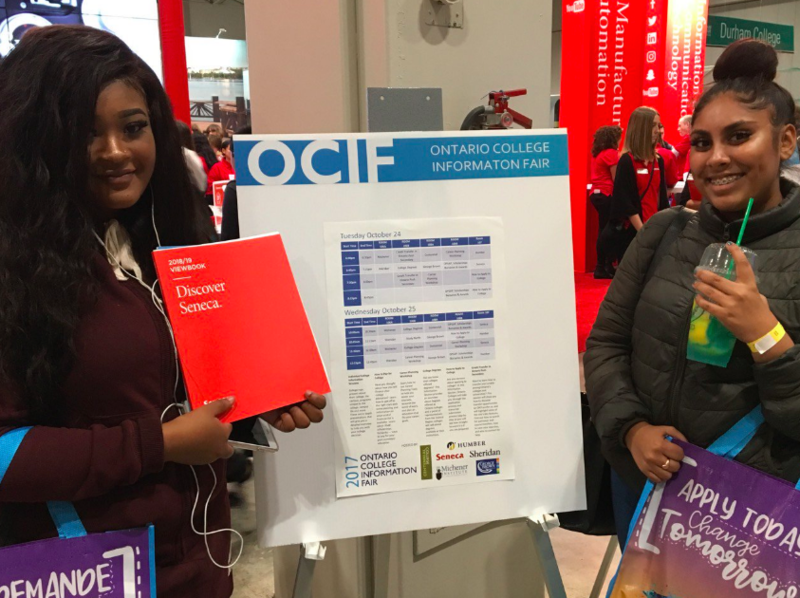 Thanks to the Youth Opportunities Fund we are able to better expose our youth to an array of supports that will develop greater post secondary aspirations through engaged programming. SBL’s collaborative leadership team approach was recently recognized at the prestigious Bhayana Family Foundation Awards ceremony. 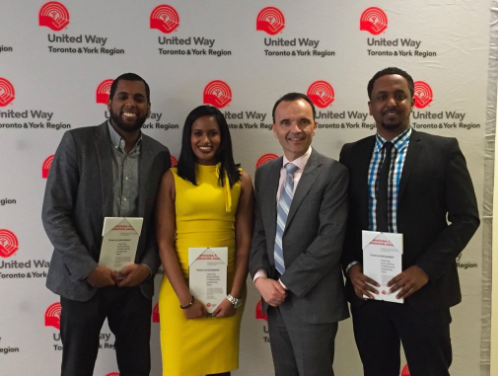 Last month, Kaneka, Mohamed and Tesfai, received the Learning and Leading Collaborative Leadership Team Award at a luncheon ceremony held by the United Way to acknowledge the work of a wide variety of leading social agencies and their staffs. We are extremely honoured to be recipients of this team award. Many of the work we’ve done in the Jane-Finch community of Toronto comes directly from the hard work and love staff put in. The ceremony has been a reminder for organizations such as ours that it is important be and feel recognized for the hard work we put in. Being witness to the other United Way supported agencies, during the ceremony, was an overwhelming feeling of excitement. We are thankful for being selected among many other groups that make a difference in their communities every day. We are thankful for United Way recognizing how important team work can be towards strengthening our communities. This love for the work we do day in and day out cannot be delivered without support from families and partners. At SBL, we really do emphasize and promote healthy living to our youth whether it be by serving healthy snacks, having access to water and fruits daily or through our programming after-school. 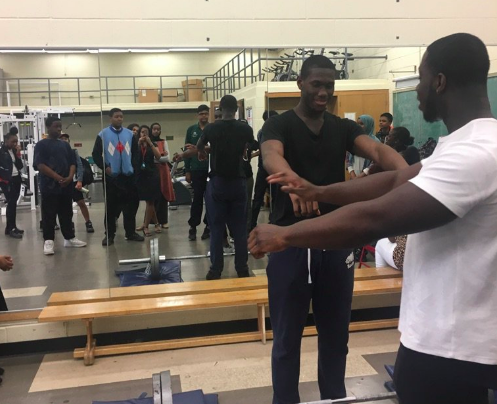 Once a week, we have access to Westview’s weight room and have former SBL participant Kevin Ofori that is currently studying Personal Fitness to lead our weekly sessions. Each session starts off where everyone gets the chance to warm-up and then have the opportunity to learn more about an equipment and its purpose. Our youth are excited and happy to work out when they got the opportunity to learn first-hand of what each machine is used for and for which part of the body! It is recommended that youth get 60 minutes of physical activity per day and our weight room programming definitely helps with that! 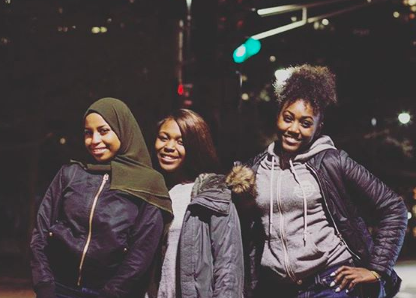 Project Turn Around is a holistic, culturally appropriate and responsive community-based prevention and intervention program serving youth ages 12-20, and their families. This week during the after school program, we had them come in and facilitate a workshop on understanding diversity with our youth. Everyday we interact with people from various backgrounds and experiences that we may not be familiar with. It’s important to recognize those around us and how we can share our experiences to better understand one another. The workshop looked at popular culture and how at times we poke fun at individuals with certain backgrounds; how does this translate to our everyday interactions and ways of learning was important for us to unpack. What’s new in this years report? 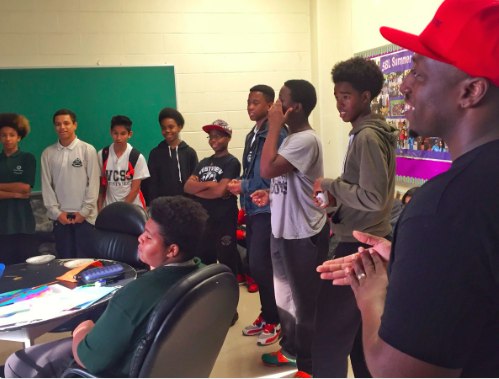 Our partnership with the MLSE LaunchPad; a new group of career experts who took time out of their day to engage with our youth; access to new spaces around the city; and most of all, our new group of youth. This report highlights our successes and achievements during that week. Don’t forget to watch our recap video which can be found on our YouTube channel. We are always finding ways to build the capacity and the leadership qualities of our youth and one way this was done was through an intensive 11-week program. 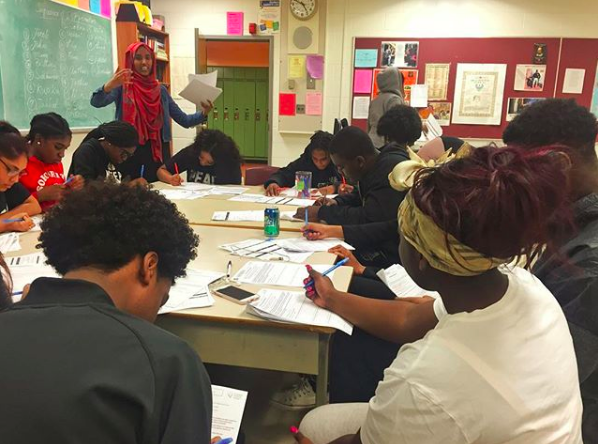 In collaboration with Black Creek Community Health Centre, we sent 10 youth every week to Black Creek Community Health Care Centre in Yorkgate mall where they got the opportunity to learn more about themselves and what it truly takes to be a leader. The youth not only got the chance to do various activities to understand their strengths and weaknesses, but also got the chance to cook healthy meals and part take in a few dance sessions as well! 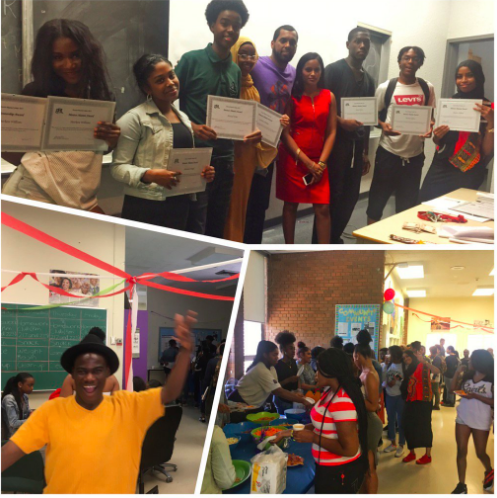 Our youth enjoyed this program and some have applied what they have learned to their mentor roles and everyday life! On a Saturday night every year in February, SBL takes a bus load of youth down to the Natrel Rink for the 1Love T.O. ice-skating party! For many of our youth, this was their first time trying ice-skating or even being at the Natrel Rink, and for others that have been part of our annual ice-skating trip they have become pros on the ice! The ice-skating party allows us to combine food, fun and relationship-building with a beautiful view of the Toronto Harbourfront! During our after-school program in collaboration with Art Gallery of York University (AGYU), we feature a guest speaker to discuss their journey and path to success. This month’s guest speaker was Whitney French, who is the founder and coordinator of Writing While Black, an initiative that aims to unite and develop a community of Black writers. Whitney French came by the SBL After-School Program on October 3rd to share with our youth her life experiences and to share some of her work! The discussion also focussed on the victories and challenges of being a Black writer in Canada. One of the participants from the workshop Margaret Sam, said that what resonated with her from the workshop is that “Despite what people say about you, you can still rise”. The workshop allowed our youth to not only support each other artistically via writing, but to also empower each other! Working closely with our team of mentors to build the capacity has always been a priority each year. 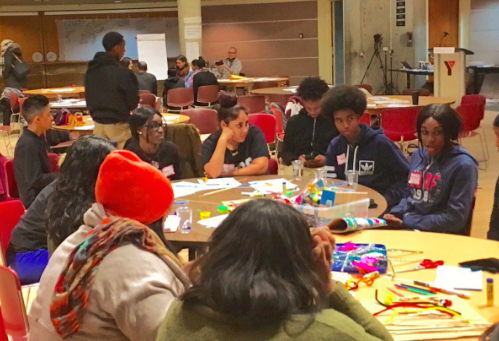 We held a workshop that allows our youth to learn more about how the work they do is impacting the community. We partnered with Student’s Commission who successfully delivered a session on creating and delivering evaluations. 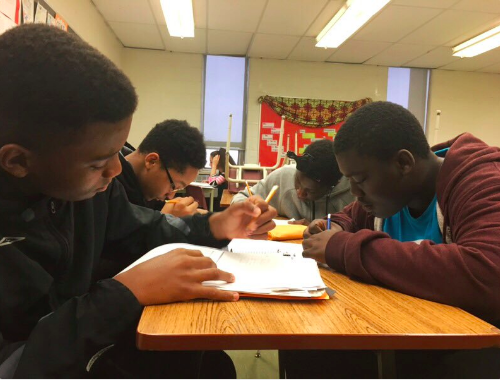 Youth were engaged on different techniques and styles of how we evaluate a program. Learning what goes on behind the scenes can build capacity and provide more insight for our Mentors to see how their work is impacting SBL.